Richard qualified as a solicitor in 2002. 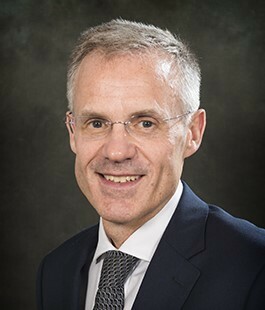 Prior to joining Gordons Healthcare team in 2017, Richard was a partner at Hempsons solicitors and Hill Dickinson LLP for a total of six years. Before becoming a solicitor Richard worked as a dentist having gained his Bachelor of Dental Surgery from Sheffield University. During his clinical career Richard worked as a general dental practitioner and a clinical assistant in Orthodontics. Richard’s clinical experience is of particular value in his work acting for doctors and dentists in regulatory proceedings before the General Medical and General Dental Councils, NHS England investigations, and in clinical negligence claims. Richard also has a particular experience in acting for individual practitioners and corporate bodies in NHS Contract disputes and NHS Protect criminal investigations particularly those involving alleged breaches of contract, inappropriate claiming and clawbacks. Richard is recommended in both Chambers and Legal 500 and has been described in Chambers as “a master of his area” and “incredibly thorough, proactive and utterly meticulous”.